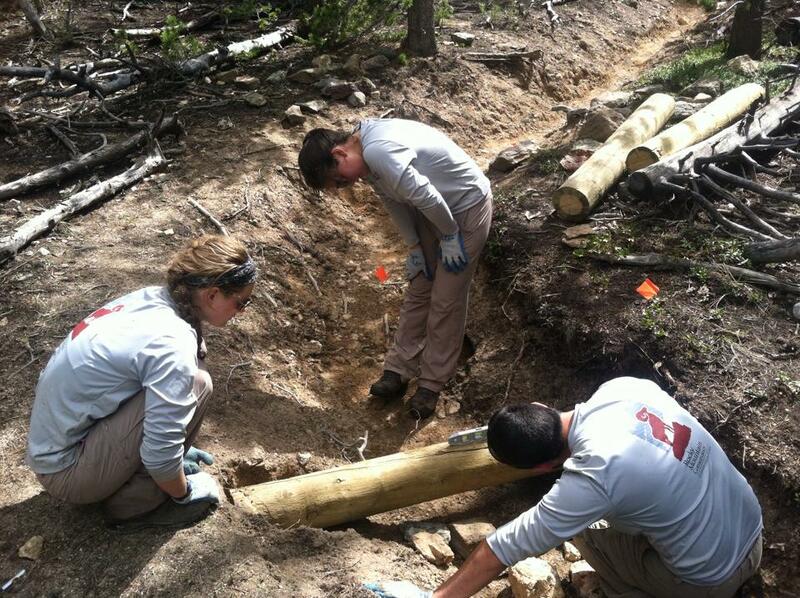 Both Estes Crews worked alongside the National Park Service Restoration crew in Rocky Mountain National Park installing log checks along the livery trail in Meeker Park. The log checks serve as an important erosion control device by slowing down water that collects and moves down the trail. By slowing down the velocity of the water, it is less able to pick up loose soil and debris, which helps maintain the integrity of the tread and improve the health of the watershed. 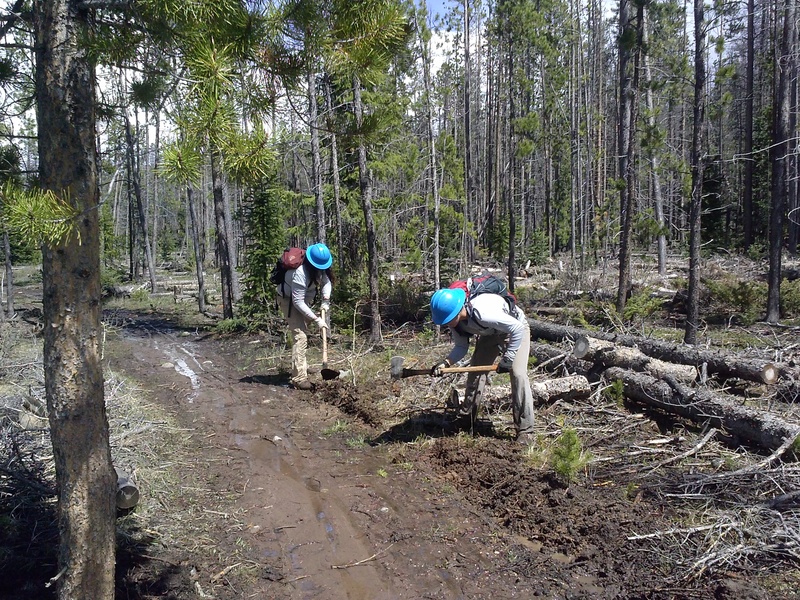 After two hard days of installing log checks, the Estes Crews completed an opening run of the popular Cub Lake Loop. 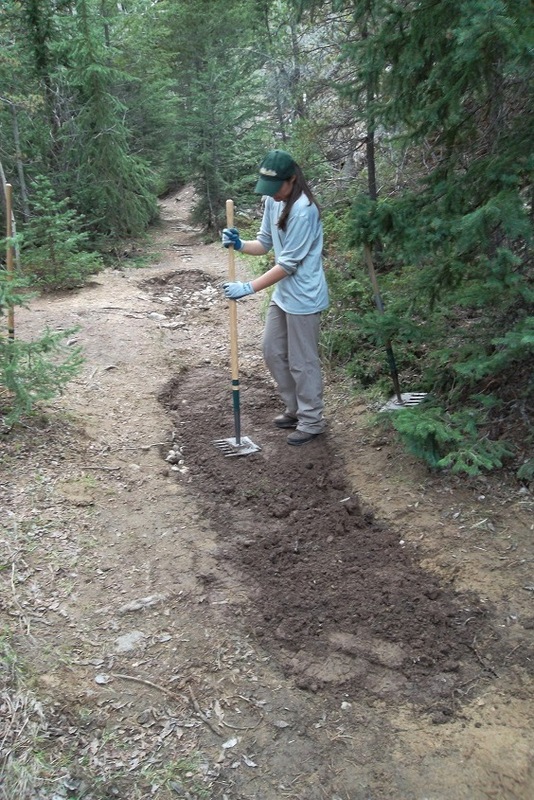 Throughout the day, they cleared drains, created water dips, and installed drainages, all of which help limit the impact visitors have on the ecosystem, while improving the experience by insuring the trail drains correctly. “Red Feather and Rawah underwent saw training on Wednesday and Thursday, driving out to various regions with Fred (USDA Forest Service Supervisor) to learn and refine critical skills. Using crosscut and corona saws as well as various other sharp metal objects, hundreds of already dead trees were used in the name of education. Fred supplemented our hands-on training with far-fetched anecdotes pulled from his nearly twenty years with the Forest Service. We would come across large messes of tress, and Fred would give us hypothetical situations where we’d have to clear paths using the tools we had. By Thursday afternoon Red Feather and Rawah had cleared a forest of already dead trees and were ready to work independently. We reluctantly said good-bye to Fred, who promised to visit our work sites throughout the summer. 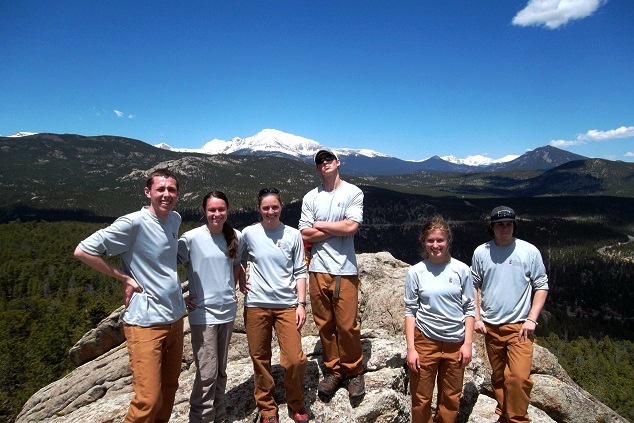 Rocky Mountain Conservancy – Conservation Corps’ Boulder Crew hit the trails right away. 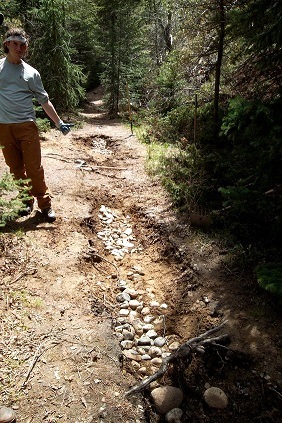 Starting the work week on the flood-damaged Ceran St. Vrain Trail, the crew repaired two miles of trail by repairing tread, creating sustainable drainage structure, constructing a reroute around a washed out section, and building a retaining wall damaged by debris flow during the flood. 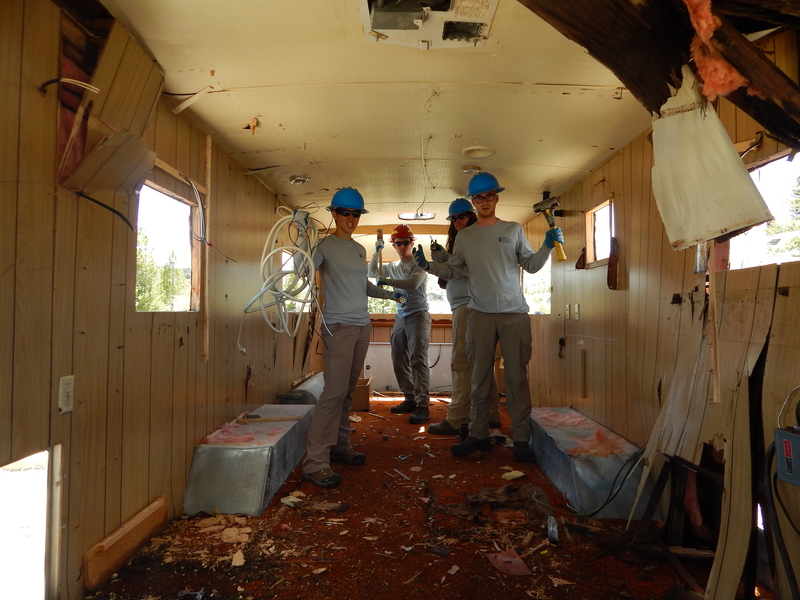 Last but not least, the Shadow Mountain Crew’s first assigned task was to decommission a forest service camper in order to salvage the flatbed metal frame for future use as a flatbed trailer. The crew had a lot of fun using sledgehammers and power tools to take down the camper. 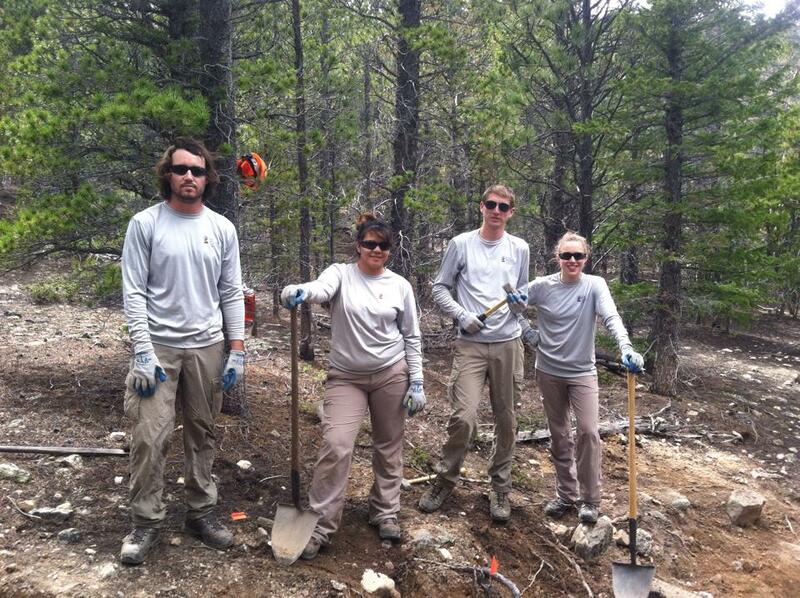 The crew spent the last two days of the week working on the St. Louis campground. 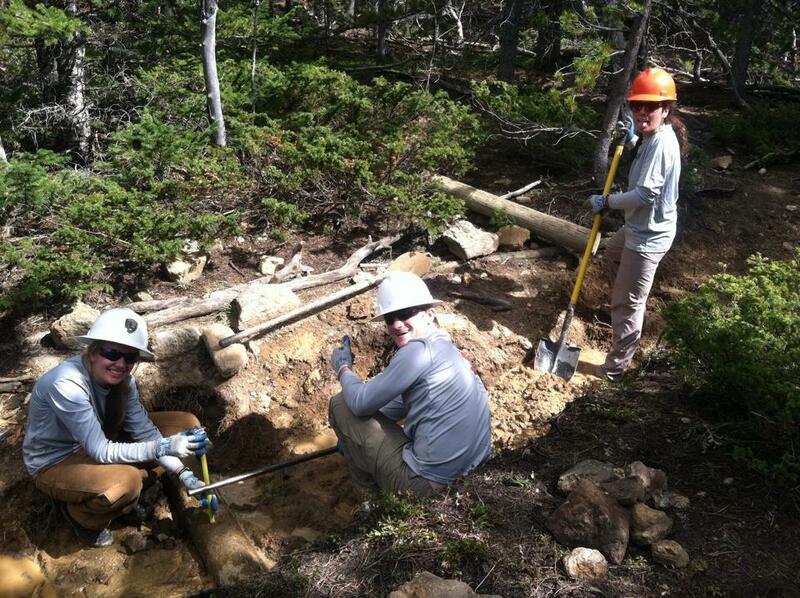 They dug up cinder block anchors, created road guards to make the camp ground safer, and cleared approximately 8 miles of trail using chainsaws and pulaskis on the Flume and Chainsaw trails in Fraser, CO.
It’s exciting to see how much the crews have completed in only one week of work. Check back next week for more updates on our crews’ progress and work locations. 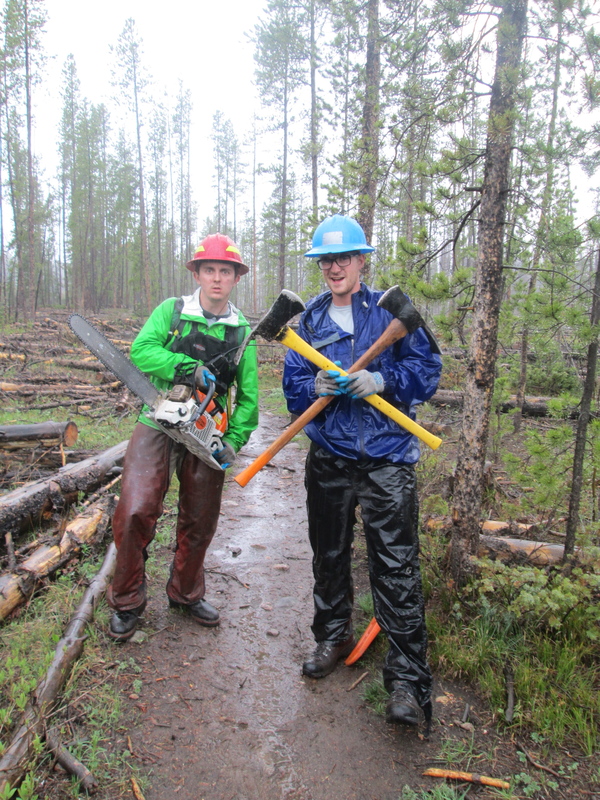 Who knows, some of you may be fortunate enough to encounter our hard-working Conservation Corps crews in the field.